Diwali is a festival of lights. Celebrate this the traditional way. Say NO to crackers and fireworks and make the world a better and safer place. I stopped buying these 10-15 years ago. You too can do so. A self-driving truck has made its first commercial delivery run in the US, carrying a vital cargo to a depot in the Rockies: thousands of cases of beer. The automated semi took to the open road as part of a partnership between the brewers of Budweiser and ride-hailing firm Uber. It made the 120-mile (190 km) journey from Fort Collins to a depot in Colorado Springs, without a driver behind the wheel - a first for commercial cargo delivery and driverless technology. The big rig, equipped with an array of camera, radar and LIDAR sensing technology, then proceeded to drive itself along I-25 between Fort Collins and Colorado Springs at an average speed of 55 mph, using GPS and hyper-accurate digital maps created on a scouting run to guide the way. - today, markets flat, AD flat. After hitting higher high-low from Tuesday to Thursday, Index hit a lower high-low on Friday. 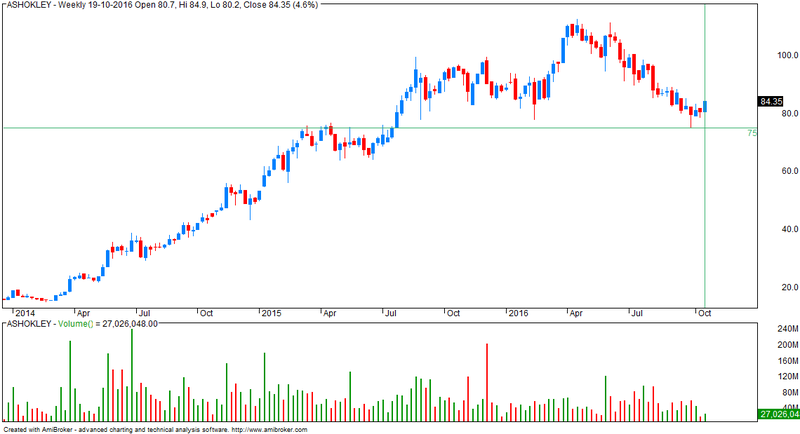 On the Intra-day chart, the action at the top of the week was looking like a “possible” Head & Shoulders formation. 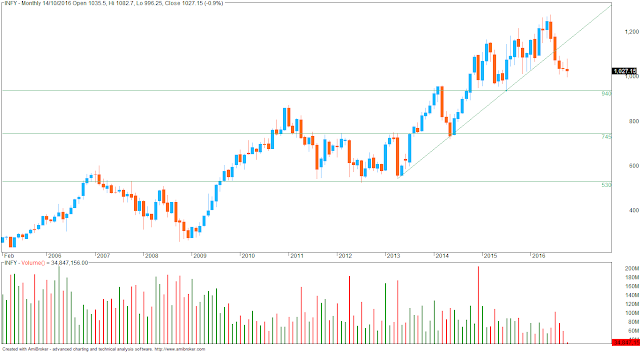 Coming week could be all about success or failure of the H&S possibility. 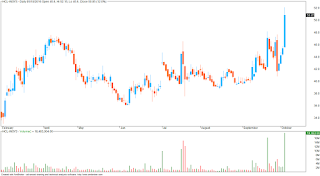 The success of the H&S pattern would require high-volume break below its “Neckline”. 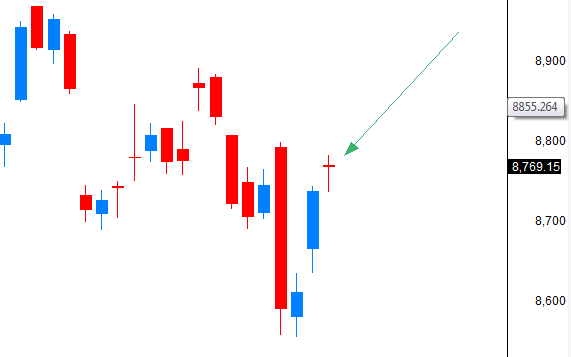 Friday’s action formed into a Bear candle with substantial lower shadow due to late recovery during the day. 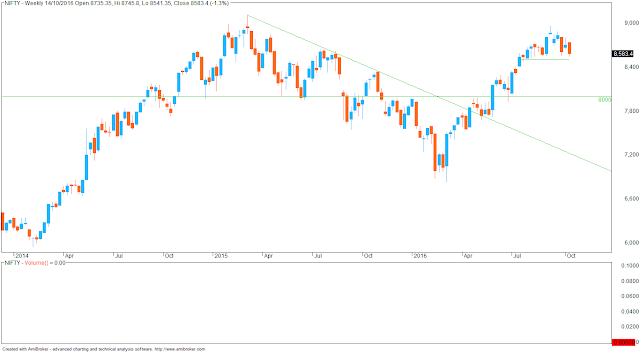 H&S possibility would succeed if Index retraces the late recovery in faster time, and breaks below Friday’s low. Break below the Neckline would project height of the pattern, from Neckline to the Head, as a downside implication of the pattern. Such projection would calculate levels closer to Aug/Sep lows as a downside possibility. However, protecting the “Neckline” and thereafter strength above its “Head”, i.e. 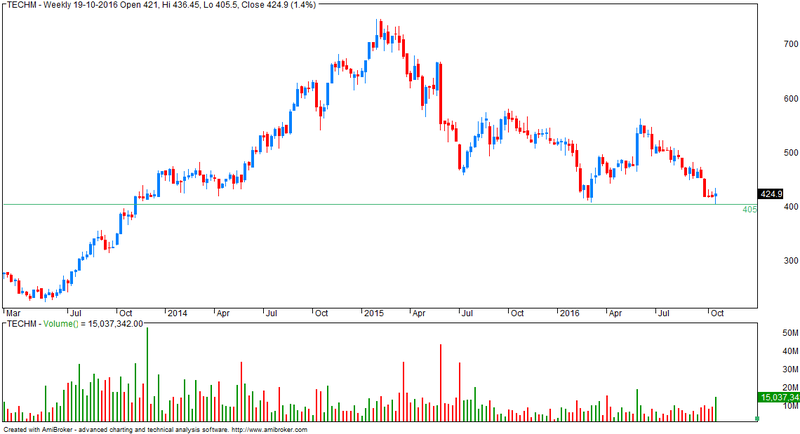 last week’s high, would reject the H&S possibility and open +ve options. Such a move would also put the structure shown with Orange in jeopardy. Nifty opened mild gap at 8708 but failed to sustain at higher levels and traded with negative bias for rest of the day. 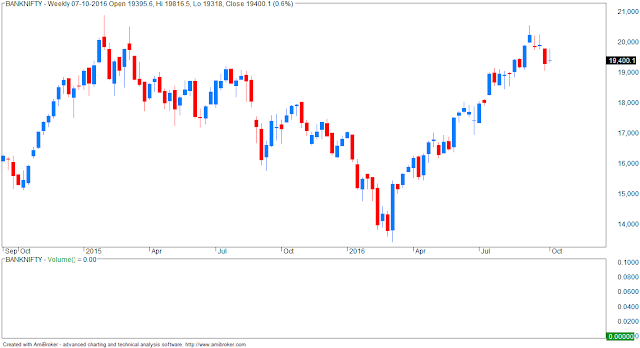 Nifty declined about 50 points from day’s high to register day’s low 8652 followed by a sharp bounce before closing 6 points negative at 8693. 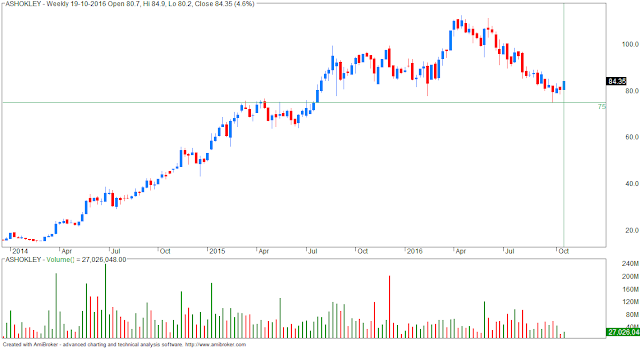 Friday, there was no exact trading strategy suggested because calculations were suggesting minimum target at 8727 and stoploss 8668, so there was no risk reward and even if break below 8668 then also the upside pattern will be incomplete and there were no downside targets. 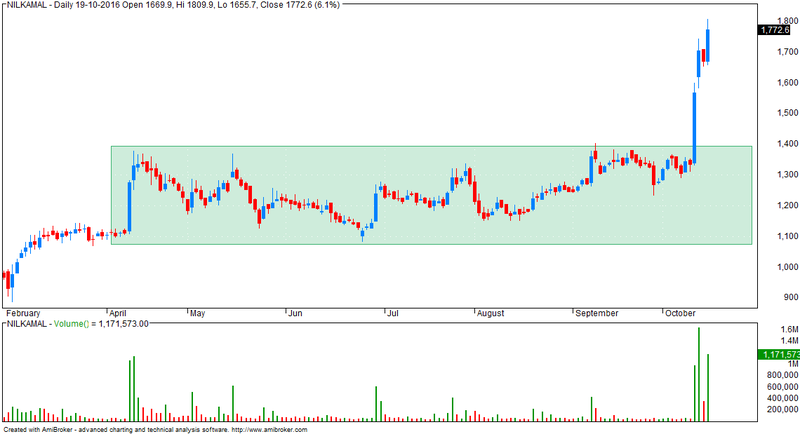 Overall conditions were suggesting a very narrow range where it was not safe to decide a trade in advance. 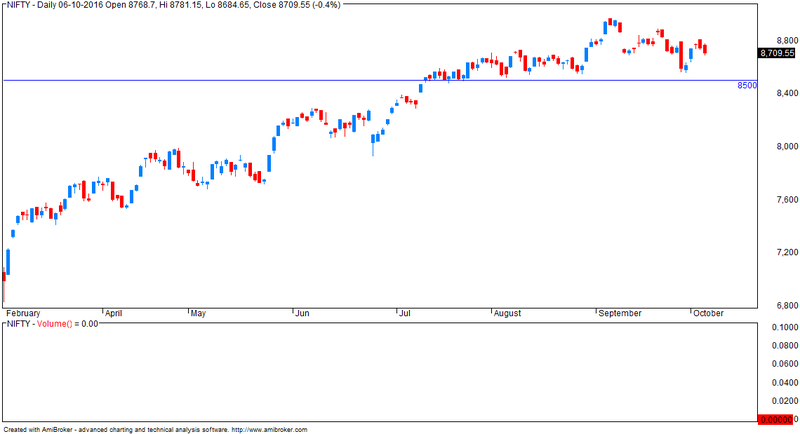 And same happened on Friday, Nifty trade in narrow range of 50 points without any clear direction. Let’s have a fresh look at latest charts for further scenario. Hardy realizes that Ramanujan’s formulae, so weird yet elegant, supercharged with meaning yet concise, “must be true because, if they were not true, no one would have the imagination to invent them.” So disturbed is Hardy by the genius evident in Ramanujan’s letter that he sends an emissary to the edge of the empire, to India, to bring Ramanujan back to the imperial capital. At Cambridge, Ramanujan is friendly and funny, easy company, but weird mathematics gushes out of him. He can’t explain the reasoning that leads to his formulae, nor their significance. He seems otherworldly to Hardy, as easy and dexterous with infinite quantities as with a knife and fork. With his intellect finally being fed by a university, Ramanujan’s genius erupts into something never before seen. .... Then he returns to India, expecting to die. As his last act, he produces the strangest work of his career: a series of mathematical formulae only recently understood. We now know that they grant the bearer passage to the infinite. This line will act as a strong resistance... this is a part of the bigger 'falling channel' on EOD charts breakout from which will be bullish. Overleverage kills... always and very badly. Expect to see proud and mighty corporates sell off their best assets. The $13 billion deal to sell 98 percent of Essar Oil to Russia’s Rosneft, Trifigura, and United Capital Partners, announced on Saturday by the Ruias, is one more piece of evidence that India’s over-leveraged businesses are having to sell their crown jewels in order to remain afloat. It is further proof that Indian conglomerates will have to shrink before they can grow again. A few days ago, over-leveraged Anil Ambani inked a pact to sell 51 percent of the tower assets of his telecom company Reliance Communications (RCom) to Brookfield for Rs 11,000 crore. While the deal may take some time to consummate, essentially it will convert the owner of the towers (ie, RCom) into a tenant. RCom will be using the same towers for running its network and pay lease rents. Again, a case of giving up your crown jewels to reduce debt. Vijay Mallya, who managed to crash-land Kingfisher in 2011, has lost not one but two of his crown jewels, United Spirits, which is now controlled by Diageo, and United Breweries, which is now controlled by Heineken. And all because he over-leveraged himself in trying to run a thin-margin vanity business like airlines using money from his cash-generating booze businesses. Folly comes in many shapes and sizes and Mallya is now unable to return to India to face the music. The acquisition of Essar Oil by Russian firm Rosneft along with other investors has brought cheer to beleaguered Indian banks that have been bogged down by rising stressed assets over the past four years. While loans to Essar Oil, to the tune of Rs.28,000 crore, are still seen as standard (or performing assets) in bank books, loans to Essar Steel, amounting to about Rs.35,700 crore, have been classified as non-performing by most banks. Analysts said that this deal gave the Essar Group the opportunity to reduce debt in Essar Steel as well as in Essar Power. On Saturday, promoters of Essar Oil sold 49 per cent of their stake to Rosneft, while Netherlands-based Trafig-ura Group and Russian investment fund United Capital Partners split another 49 per cent equity equally. The value of this all-cash deal, which includes Vadinar Port assets, was $1.3 billion or about Rs.85,000 crore. “The key beneficiaries from the Essar Oil deal are likely to be ICICI Bank, Standard Chartered Bank, SBI, Punjab National Bank, and IDBI Bank,” Motilal Oswal Securities said in a report. “We believe NPA recognition for large accounts has peaked and expect gradual resolution hereon,” the report added. Analysts reckon this deal could lead to the resolution of close to 10 per cent of the system’s NPAs, in a domino effect. According to RBI data, stressed assets of Indian banks rose from 9.8 per cent at the end of March 2012, to 14.5 per cent at the end of December 2015. - now expect resistance around upper trendline of falling channel. The iron condor is a limited risk, non-directional option trading strategy that is designed to have a large probability of earning a small limited profit when the underlying security is perceived to have low volatility. The iron condor strategy can also be visualized as a combination of a bull put spread and a bear call spread. Using options expiring on the same expiration month, the option trader creates an iron condor by selling a lower strike out-of-the-money put, buying an even lower strike out-of-the-money put, selling a higher strike out-of-the-money call and buying another even higher strike out-of-the-money call. This results in a net credit to put on the trade. Maximum gain for the iron condor strategy is equal to the net credit received when entering the trade. Maximum profit is attained when the underlying stock price at expiration is between the strikes of the call and put sold. At this price, all the options expire worthless. Decisive break below Aug/Sep’16 lows of 27826-717 (Nifty 8518-55) is, however, still awaited to confirm that the 3rd Corrective is indeed finally over, and downward correction to the larger “D” leg has started. 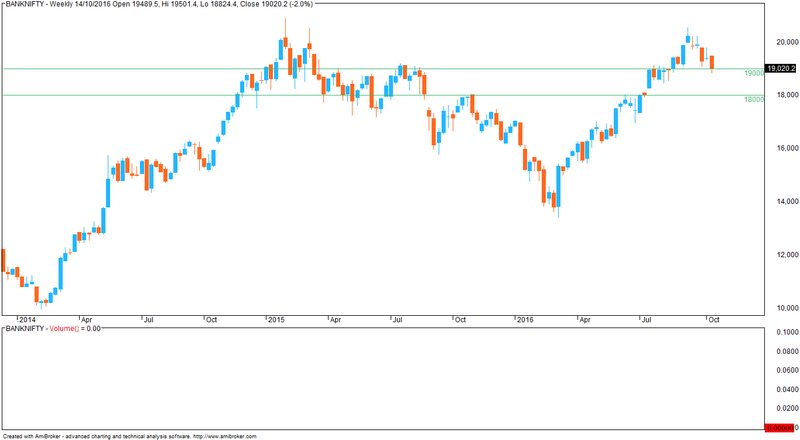 Last week’s low on Sensex was at 27548, which broke its Aug/Sep lows we had mentioned as 27628. However, Nifty’s low for the week was at 8541, which is still not broken its corresponding Aug’16 low of 8518. 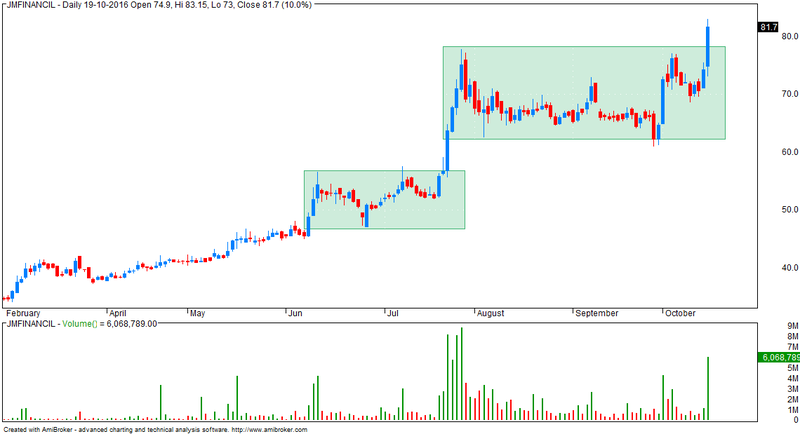 Further, a break is considered as “decisive” when the action performs “lower top lower bottom” below the levels (Aug low). This is still awaited. However, this is only a matter of “decisiveness”. We had also argued that a Triple Combination carries pattern implication of 60-70% retracement. 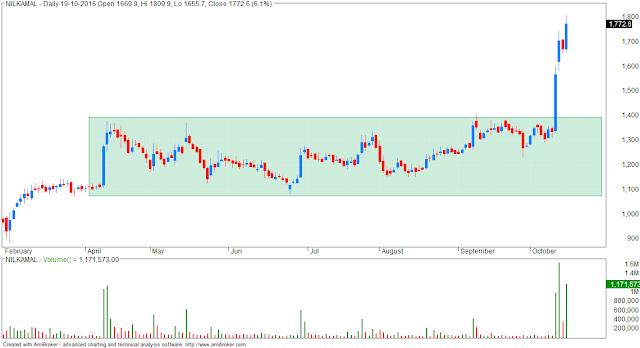 We also marked the 60% implication at 25000-500 on the initial Daily chart. 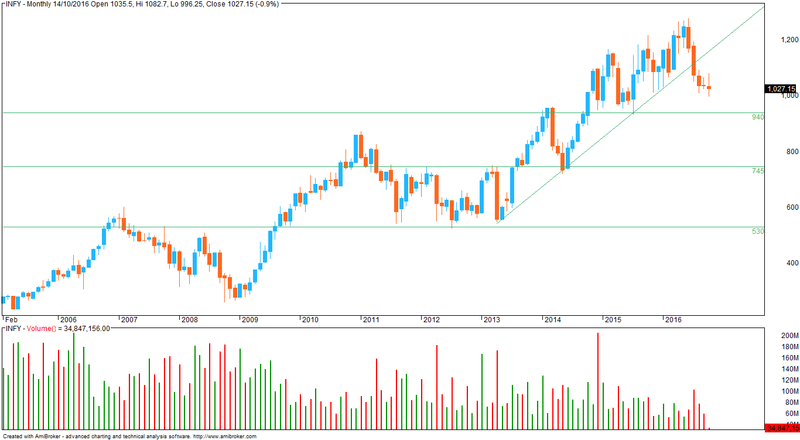 On Nifty, 60% retracement level would calculate as 7700-7800. 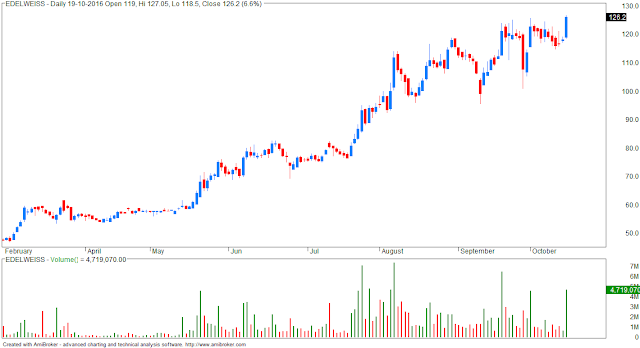 - the recent swing low broke on 29-SEP but I have ignored it. Total investment approx. Rs.360,000. Max profit = 300*60 + 300*80 = Rs.42,000/-. 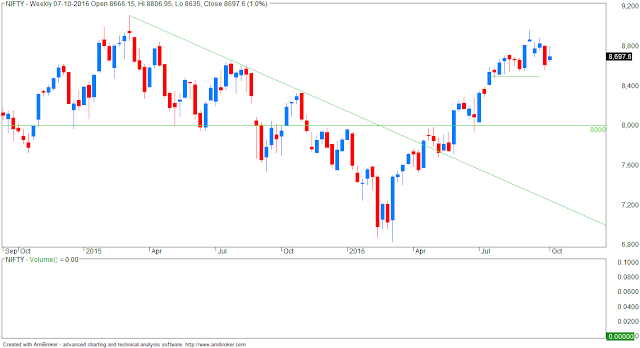 Nifty opened mild gap up on Friday at 8594 and declined sharply to register day’s low 8549 but traded with positive bias later for the day. 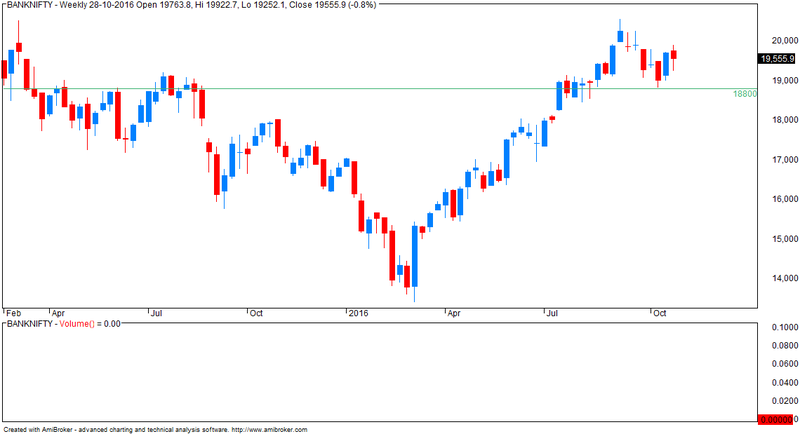 Nifty bounced gradually from morning low to register day’s high 8604 before closing 10 points up at 8583. Friday, there was no particular trading strategy suggested but just mentioned that “I would like to buy Nifty Nov 8900 Call before closing on Friday if see Nifty below 8550” and further 8618 was suggested as point for any short term reversal and stoploss for shorts. 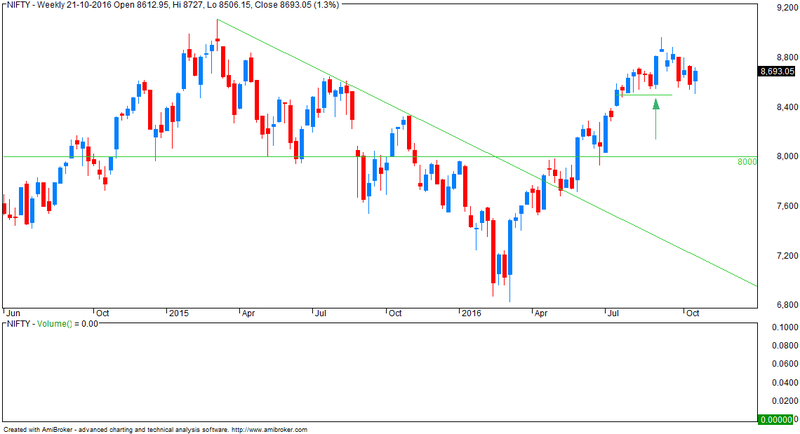 Nifty declined below 8550 and traded below 8618 for whole day. Let’s have a fresh look at latest charts for further scenario. As many as 550 jobs have disappeared every day in last four years and if this trend continues, employment would shrink by 7 million by 2050 in the country, a study has claimed. As per the data released by Labour Bureau early 2016, India created only 1.35 lakh jobs in 2015 in comparison to 4.19 lakh in 2013 and 9 lakh in 2011, the group said in a statement. The data clearly points to the fact that job creation in India is successively slowing down, which is very alarming, it pointed out. Question: In one of your tweets you said “Compound interest is the eighth wonder of the world. He who understands it, earns it...he who doesn’t..pays it. A powerful force as per Einstein.” What message do you have about people between ages 25 years and 35 years who only want to invest in debt, realty, and the likes? Media reports about the demise of the Indian software industry are grossly exaggerated and very premature. Let us take stock of the situation today. The Indian software export industry is about $110 billion. It employs around 4.25 million people. It has a 60 per cent market share of global outsourcing and is globally dominant. Of the 10 top software service companies globally ranked by market cap, five are Indian. Of the top five, three are Indian. All of them have a massive presence in India. Of the total number of employees, amounting to nearly 2 million, in these top 10 companies, about 70 per cent are based in India or travel out of India. The Indian offshore software industry dominates the software services world and has no parallel. Some commentators have stated gleefully that the end of the industry came when the business stalled in the last quarter and because they were unable to adopt a new stack of digital technologies. These all-knowing commentators seemed to lack a fundamental understanding of the industry because they made statements that the Indian industry would not have tanked if we had been able to embrace SMAC or Social Mobile Analytics and Cloud-based technologies early. The Indian industry has done very well on the legacy side of IT services. Web-based technology, which was cutting-edge not so long ago, is also now legacy! Indian IT also has a growing practice in SMAC. Which generetion do you belong to? This technology will sometime in the future kill tourism completely. - option writing support remains at 8500 for this series. 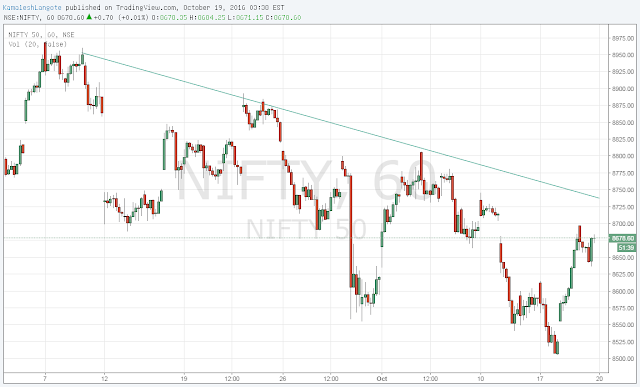 Nifty opened gap down today at 8671 followed by sharp decline and traded with negative bias for rest of the day. Nifty declined by more than 150 points to register day’s low 8541 before closing huge 135 points down at 8573. Yesterday, trading strategy was to Buy Nifty in 8694-8681 range using exact stoploss of 8663 expecting targets 8781 but Nifty opened at 8671 and declined below 8663 within fraction after opening, so trade was negated. Nifty declined as per alternate possibility of the sharp decline (small crash) mentioned in the report. 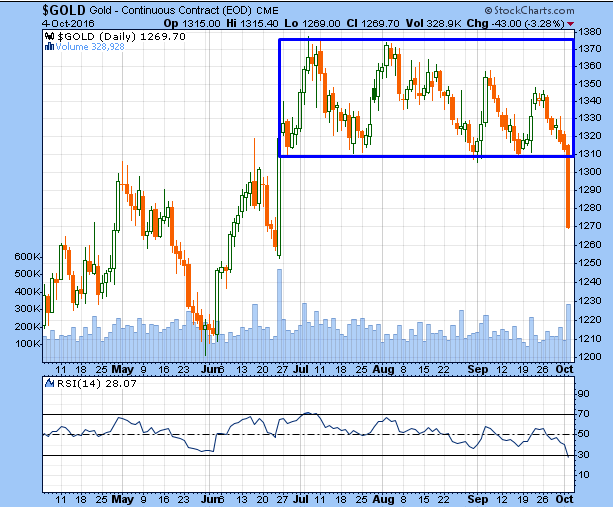 Let’s analyze fresh charts for further scenario. - see falling channel - bullish implication. 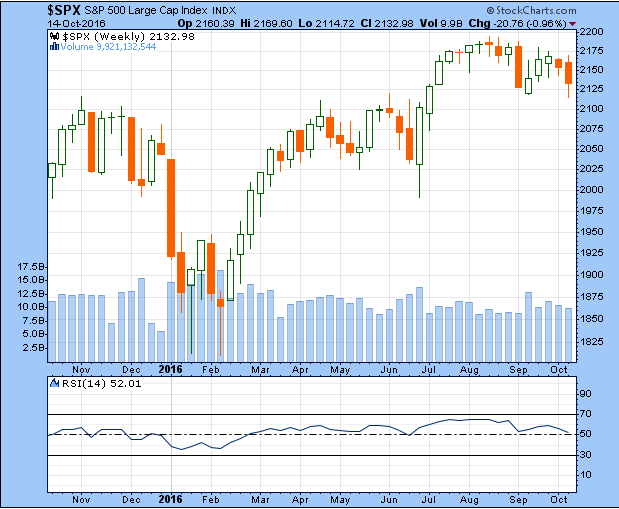 US markets continue to correct? 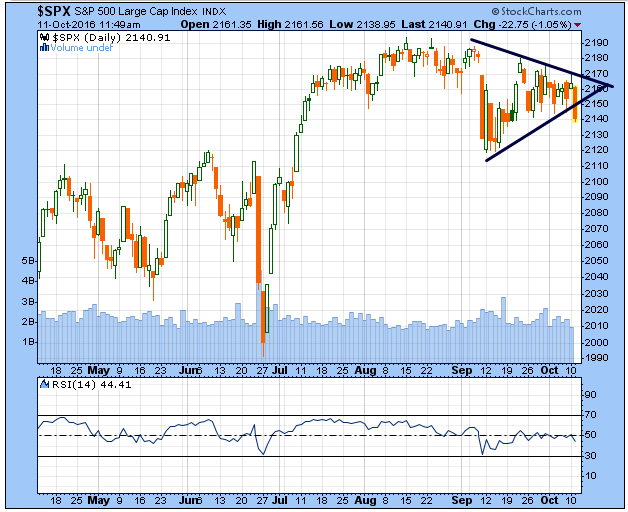 See chart... triangle likely broken... if true, this means recent lows will also break. Why "likely"... because bar . i.e. trading day is not complete. Recommended for technology/ space buffs and aspiring engineering students. By NASA. The ISS is almost the length of a football ground and consists of several modules and submodules attached over a period of time. Enjoy the internal video tour by Sunita Williams. Note that there is no up or down in ISS. Read more about the International Space Station. 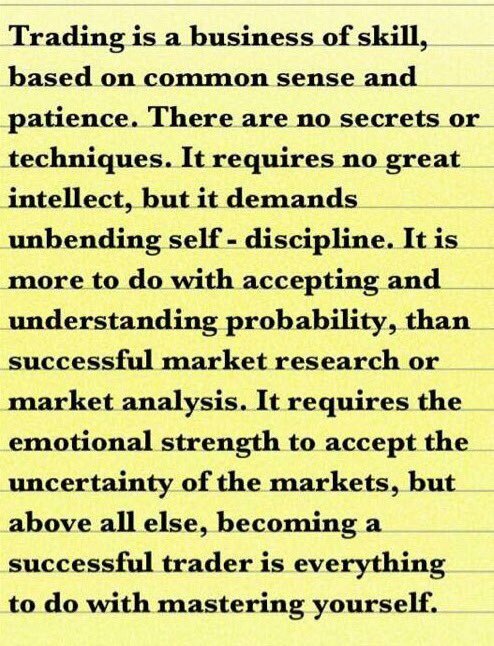 Trading is all about probabilities and discipline. Nothing else. Which people trust their governments? See where India is... you will be surprised! India is not at the bottom... it is in the top 5! And our neighbors do not figure in the list at all. Nifty opened mild gap up on Friday at 8721 but failed to sustain at higher levels and traded with negative bias for rest of the day. Nifty declined to register day’s low 8664 before closing 11 points down at 8697. Friday, trading strategy was to Buy Nifty only if touch 8732 with stoploss of 30 points otherwise wait for identification of any other pattern to initiate trade. 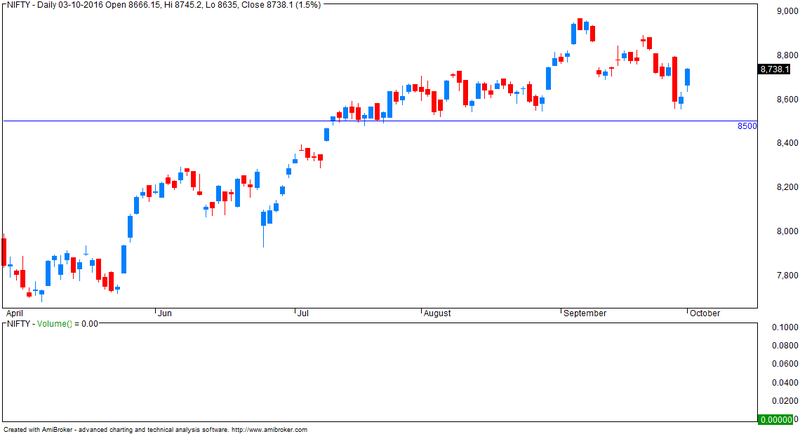 Nifty failed to break above 8731 on Friday and trade didn’t activate. Let’s have a fresh look at latest charts for further scenario. A blind purchase of all stocks in the Nifty 10 years ago still beat the returns of the Nifty. But obviously we can’t say this happens all the time; we’d have to test different time frames (10 years, 5 years etc) and different start and end points). This is not the point we want to make. This is a site I see every now and then. I have a deep fascination for aircrafts and the people who fly them. 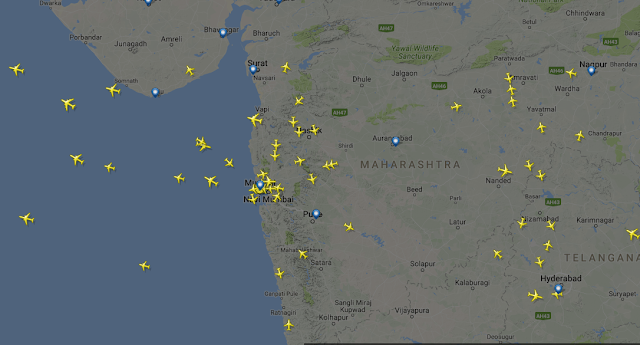 This is how the sky looks above Mumbai at the time of this writing. Fear is a natural reaction to risk and exists only in our imagination. Fear is the workout we give ourselves imagining what will happen if things don’t work out. Worry is the hard work of actively (and mentally) working against the fear. Worry is our effort to imagine every possible way to avoid the outcome that is causing us fear, and failing that, to survive the thing that we fear if it comes to fruition. Once you’ve mastered putting in protective stops, you’ll feel empowered. Why? Because at that point you are emotionally balanced and are WILLING to transfer the risk to someone else and exit with a small loss. You have emotional and financial understanding that trading is a process and that any one trade is meaningless over 1,000s of trades. At that point you have personal power in that trading is just one part of your day and your life is abundant. And you don’t need to tell anyone about your trading. You’re in love with your process – be it mechanical or discretionary – and not in love with any one particular trade. At that point, you’ll also realize that you can’t really speak to anyone about trading anymore. Most amateurs don’t understand that trading like a professional requires a combination of self-awareness, emotional intelligence, and some level of technical proficiency. You won’t be able to communicate with such a person as they are speaking one language and you another. They are ignorant about your expertise and necessary behavior. It’s a dialect all its own and it’s unique to you and only you. This ability is learned behavior – but most will never achieve this level because they are focused on the wrong principles. They’re missing the 80% of the puzzle that is most significant. You have to do the mental work to let go of the need to know what is going to happen next or the need to be right on each trade. In fact the degree to which you think you know or in any way need to know what is going to happen next, is equal to the degree to which you will fail as a trader. 1) While the outcome of any given trade is uncertain they believe in their edge over a series of trades. In other words they know the expectancy of their method and have confidence that over a series of random outcomes, the odds are in their favor. 2) Anything can happen! In other words they have learned to think of every trade like tossing a coin – they don’t need to know what will happen. They don’t expect to either win or lose. This firm belief in the uncertainty of any given trade, while knowing that over a series of trades you will be profitable, is very liberating. A short wierd funny song which has the taken the internet by storm and has crossed 47 million views in just a few weeks. Increase the volume and enjoy... it is less than a minute long. Good for tiny tots, kids, adults and probably anyone who wants to destress! To facilitate the ease of doing business, Sebi today decided to provide permanent registration to merchant bankers, investment advisers, research analysts and eight other categories of market intermediaries. The Securities and Exchange Board of India (Sebi) already gives permanent registration to stock brokers and sub-brokers subject to their compliance with certain requirements. The proposal to grant permanent registration to 11 more categories of market intermediaries was cleared by Sebi’s board during its meeting here today. - today markets closed in negative; AD negative. HCL Info up 12% to @ Rs 51 with super volumes - Will BSE & NSE ask Why again? HCL Infosystems Ltd up 12% to @ Rs 51 with super volumes ~ Will BSE & NSE ask Why again? The Delivery % was just under 20. What’s Happening? Will the Exchanges in 13 days yet again ask the Company for clarification for today’s surge too & will the company reply the same that it’s seems to be speculative & will thus the share price slide back ? Automation threatens 69 per cent of the jobs in India, while 77 per cent in China, according to a World Bank research which has said that technology could fundamentally disrupt the pattern of traditional economic path in developing countries. “But the traditional economic path from increasing productivity of agriculture to light manufacturing and then to full-scale industrialisation may not be possible for all developing countries,” Mr. Kim said in response to a question at the Brookings Institute during a discussion on extreme poverty on Tuesday. 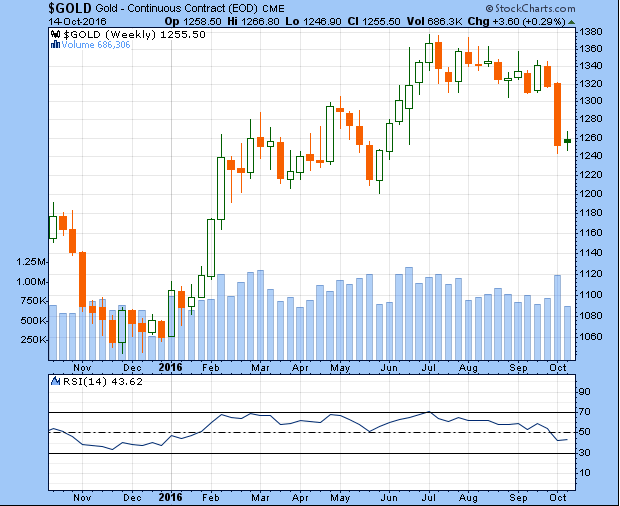 Big crack in GOLD yesterday as it breaks support. 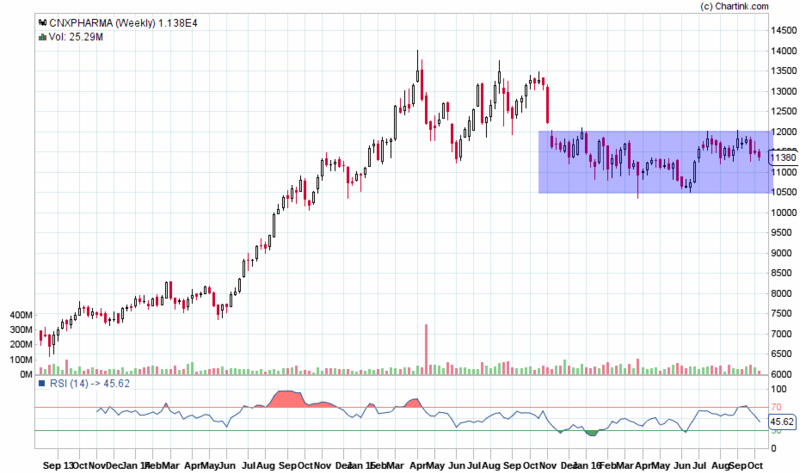 Now this support 1310 will offer resistance. 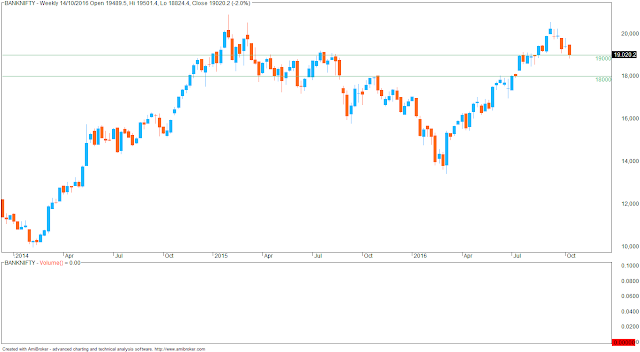 Nifty almost achieved minimum target 8800 expected after break above 8689 in my previous analysis report Elliott Wave Analysis Report of Nifty for 03 Oct 2016 Onward. This analysis report is further update of my previous analysis as action expected in previous report is already happened. Nifty opened gap up at 8770 and declined gradually towards 8740 followed by sharp swings between 8780-8740 later in the day. Overall it was a range bound day with volatility and finally Nifty closed 31 points up at 8769 after registering day’s low 8736 and high 8783. Yesterday, more upside towards 8800 was expected and longs taken at 8689 were advised to hold with immediate / Intraday stoploss of 8718 whereas positional stoploss for all longs was 8665. 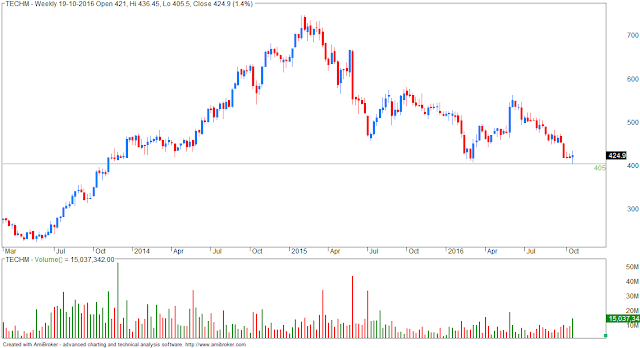 Further I advised to book 50% longs in 8780-8800 range and hold rest with stoploss of 38% retracement of wave (3). 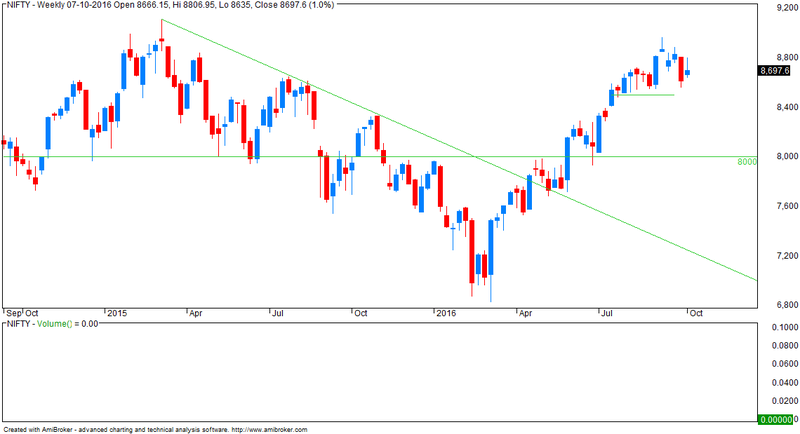 Nifty bounced further to register day’s high 8783 without triggering immediate stoploss of 8718. Let’s have a fresh look at latest charts for further scenario. It was meant to be independence day for India’s central bank. It might instead be viewed as mission accomplished for Prime Minister Narendra Modi’s government. With a new governor at the helm of a newly-minted Monetary Policy Committee, the bank had the opportunity Tuesday to buttress the autonomy over interest-rate decisions that former leader Raghuram Rajan fought for. With the economy growing in excess of 7 percent, most economists predicted no change in the benchmark. 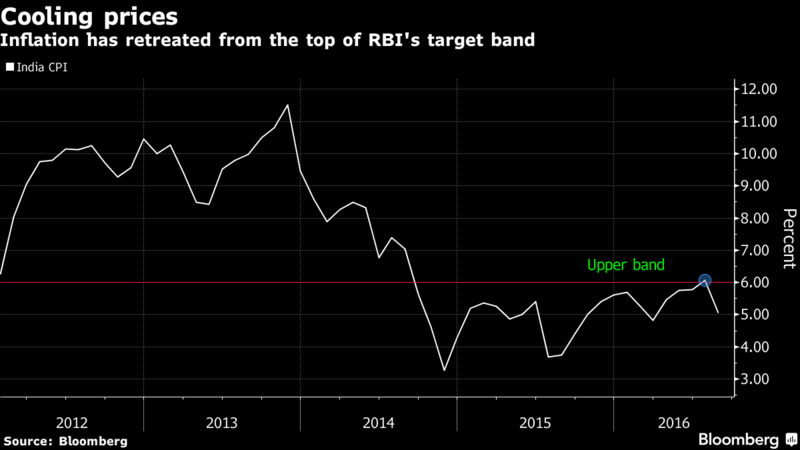 Instead, Reserve Bank of India Governor Urjit Patel surprised many with a rate cut, signaling that faster expansion has become the priority even as inflation remains stubbornly higher than in the rest of Asia. Three government-appointed economists and two RBI colleagues joined Patel in a 6-0 vote in favor of the quarter-point move. They acted hours after a top bureaucrat highlighted the government’s view that inflation is receding. 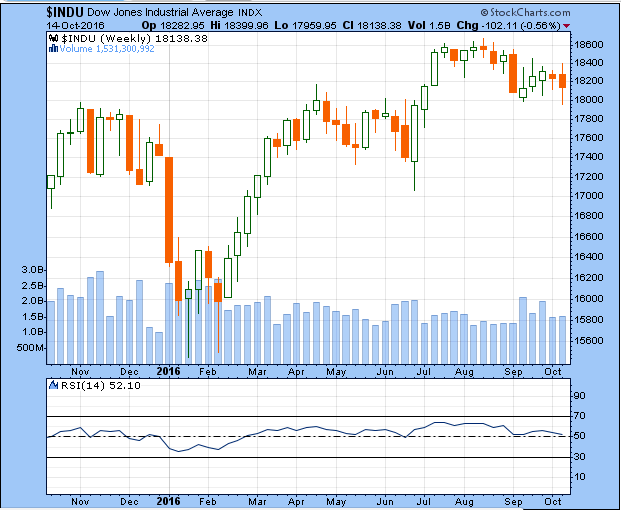 But then, why did markets give us a doji? The markets should have blasted since rate cuts are supposedly what the economy requires. Last week saw the 'shadowbanning' of thoughtful - non-violent - twitter-er Scott Adams - the creator of the Dilbert cartoon character. Is Twitter Inc Rigging The US Elections? Twitter implemented its new algorithmic timeline in February, and since then, libertarians, anti-establishment dissidents and conservatives have all been waiting for the micro-blogging firm to interfere in the current U.S. election cycle. Now it seems there is clear evidence of that happening, says Breitbart. Nearly two months ago, Breitbart Tech editor Milo Yiannopoulos predicted that Twitter would seek to interfere with the primary election process. Twitter’s head of news, elections and government served as a deputy chief of staff for a Democrat senator from Louisiana in 2008 and was a term member of the Council of Foreign Relations. This could have some connection with Trump’s tweet disappearing. “A move to shadowban the tweets of the Republican front-runner would therefore not entirely be unexpected,” the website says. - option writing support 8600 resistance 9000. Thursday’s sell-off was fast & furious after the news of border tensions hit the market. Structurally, it raises question whether the fall from Monday to Wednesday was “d” and recovery till Thursday’s morning was “e” of the Triangle we assumed inside 3rd Corrective. Remember, Triangle is a 5-legged pattern wherein legs in both directions “contract”. As can be checked on the chart, in one direction, e was smaller than “c” and “c” was smaller than “a”. On the other direction, “d” was smaller than “b”. (e < c < a in upward direction and d < b in downward direction). Thursday’s fall broke the b-d line of the Triangle (NEoWave 1st stage confirmation that Triangle is over), and also retraced “e” leg in faster time (which generated NEoWave 2nd & final stage confirmation). If true, then the 3rd Corrective is completed as a 5-legged a-b-c-d-e Triangle as marked on the charts. 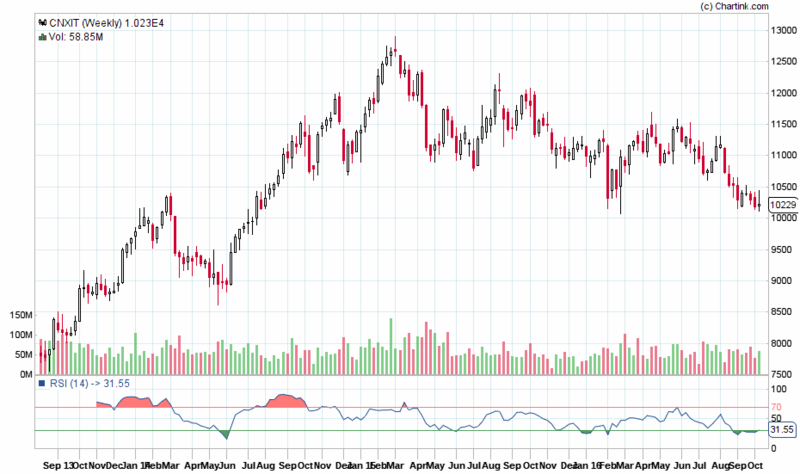 We had warned that as per NEoWave, 3rd is the last Corrective of any Complex Corrective development involving x-waves. This also means even the larger “D” leg from Feb’16 may also been completed. 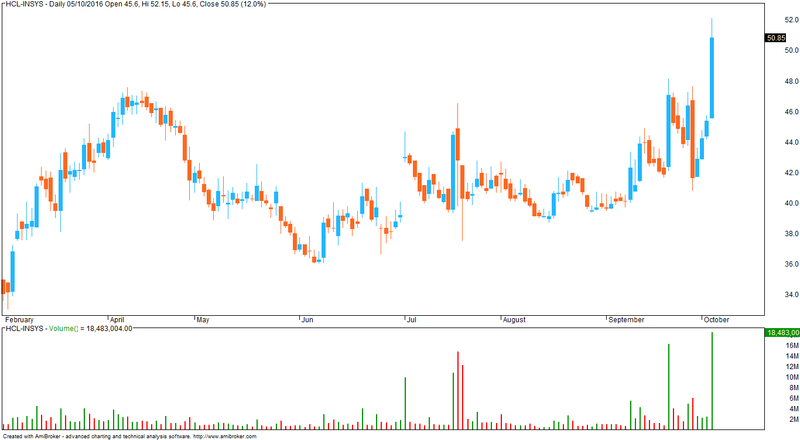 The NEoWave pattern implication for Triple is 60-70% retracement. So, if 8-monh long “D” leg from Feb’16 (22495/6826) to Sep’16 (29077/8969) is completed, then Index can drop to at least 25000-500 (Nifty 7700-7800) levels, which is around 60% retracement level to “D” leg. Nifty opened mild lower at 8581 followed by a decline to register day’s low 8555 but bounced from lower levels and traded with positive bias for rest of the day with volatility. Finally Nifty closed 19 points up at 8611 after registering day’s high 8636. Friday, I expected a pause or small bounce or sharp recovery towards 8800 but didn’t suggest any exact trade because bottom range based on the pattern was very big to calculate any safe and small stoploss. 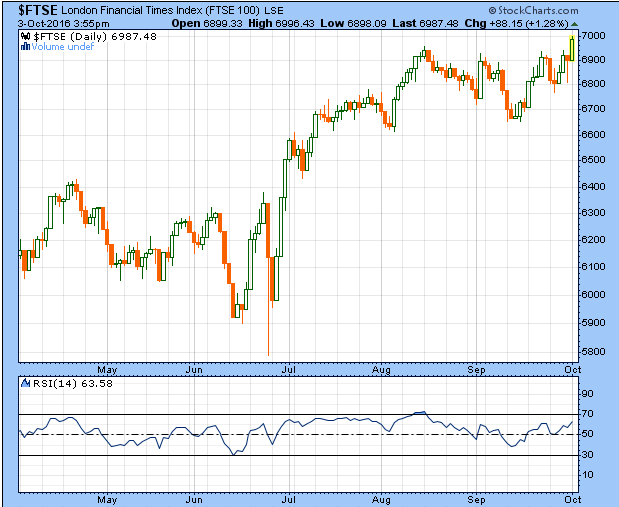 I just advised to avoid fresh selling as small or big recovery was expected. Let’s have a fresh look at latest charts for further scenario. 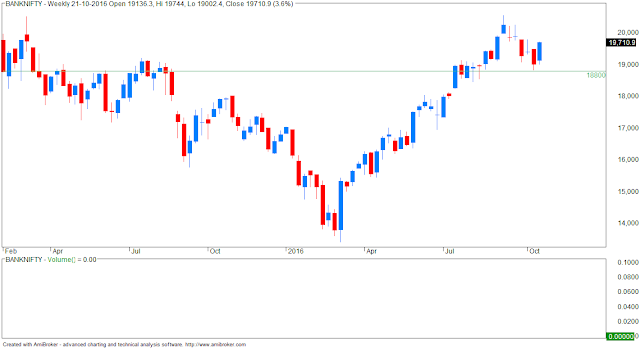 Today I am covering the move after 2016 high 8968 only as there is some confusion in the pattern of previous waves which further making it difficult to identify short term moves. We will ignore previous waves for time being and will focus on very short term pattern only.